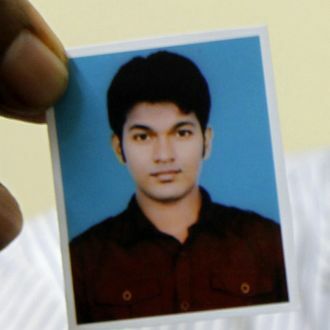 A judge sentenced Bangladeshi student Quazi Mohammad Rezwanul Ahsan Nafis to 30 years in prison today, the minimum sentence, after he expressed serious regret about trying to blow up the Federal Reserve Bank, in a plot directed from the start by the government. “I’m really grateful that the agents saved me,” the 22-year-old said in a five-page letter pleading for leniency, citing his “stammering problem,” lack of “real friends” in his native country, depression, and girl problems as reasons he turned to radical Islam. “For being a very simple guy I fall for people very easily,” he added, meaning extremist classmates in Bangladesh but also apparently including undercover FBI agents.